Who doesn’t judge a book by its cover? Dieter Roelstraete certainly does—and for some time now he’s been particularly attuned to the peculiar art of the philosophy/theory book cover. What do publishers of the likes of Theodor Adorno, Martin Heidegger, Ludwig Wittgenstein, and their students and interpreters consider appropriate cover art for communicating the abstraction, expansiveness, and profundity of the thoughts contained within? One dependable source of such eye-catching imagery is Paul Klee, whose art graces an ever-increasing number of book covers in the fields of culture and the humanities. In this brief essay and paean to the bibliophilic eye, Roelstraete reflects on the power exerted by a handful of artists over the visual imagination of the academic publishing world, finding room to wander, angel-like, above its proverbial sea of nondescript, titles-only mists. Over the years of stacking, emptying, and restacking my bookshelves, I have become accustomed to seeing the same familiar faces show up in the ever-expanding philosophy and capital-T Theory department of my library in particular, and these faces have in turn blossomed into something of a second-tier classificatory rule for the further fine-tuning of its inner logic. (They have also started to shape some of my book-buying behavior, which has always been frivolously susceptible to the aesthetic consideration of what a book actually looks like, when first facing me in either a bookstore or on a computer screen). They are the faces of a handful of artists whose imagery is peculiarly dominant, it seems, in the imagination of the philosophy and theory publishing world—the providers of choice for a substantial percentage of the book cover art required in this particular outpost of the humanities: René Magritte, Paul Klee, Caspar David Friedrich, Giorgio de Chirico. Indeed, these last few years, ever more books using the same artists (often even the same artworks by these artists) on their covers have come to my attention, and I’ve even started collecting certain titles on the basis of their cover art alone—judging the book by its cover, so to speak, as long as the cover in question is adorned with a Magritte, Klee, Friedrich, or de Chirico. My fascination for these book designers’ curiously converging enthusiasms for Friedrich and Klee in particular is such that I recently made it the subject of a small exhibition titled Kleine Welt, after a Paul Klee print from 1918 depicting the titular small world of microscopic abstraction teeming with life’s spellbinding minutiae—though the title could obviously also be read as a somewhat ungenerous jab at the limited visual imagination of the “small world” of academic book publishing (but that’s for the beholder to confirm). Klee is the undisputed champion of this field, this proverbial kleine Welt. In the last months alone I have been able to amass some fifty titles of books sporting a wide array of Klee imagery on their covers, the books themselves running the gamut from Marxist socioeconomic analysis and German literary history to Heidegger exegesis and philosophy of mind, though with a decided and telling emphasis on German Jewish studies and critical theory. In the last year alone (honestly, don’t people in the book designing business talk to one another?) 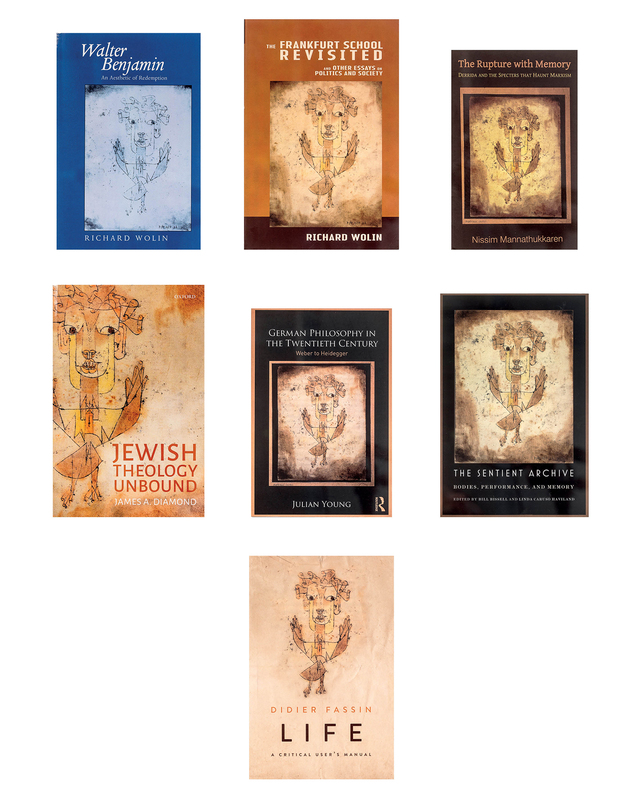 three books were published adorned with the same Klee artwork, namely his iconic Angelus Novus from 1920, the exemplarily gripping symbol, in retrospect, of the triumphs and tragedies of twentieth-century German, German Jewish, and Jewish history. This iconographic short-circuit is of course grounded primarily in the close association of Klee’s Angelus Novus, now in the collection of the Israel Museum in Jerusalem, with the figure of Walter Benjamin, who first acquired the monoprint in Munich in the early 1920s. Benjamin was the chronicler par excellence of the minute and microscopic as both a worldview and a way of life, and the paradigmatic theorist of fragmentation as the fleeting, unstable essence of our modern, postmodern, and contemporary condition, all of which goes to “prove,” in my view, why exactly Klee’s images are so alluring and singularly well cast to communicate, in his characteristically fast-and-loose jumble of daubs and lines, some of the basic instincts of twentieth-century, and specifically postwar, philosophy. Like Benjamin, Klee was a bard of the small, the easily overlooked, the disjointed and hallucinatory, the fragment and the footnote. 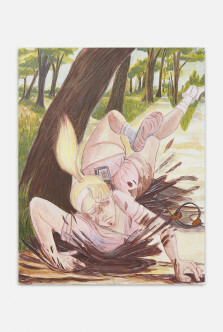 Not the artist you’d expect to illustrate the monumental logic of a Hegel or Kant, but excellently suited to visualize the meaning of, say, Adorno’s Minima Moralia, a book that we can all agree lies much closer to the heart of today’s vale of tears than anything of a more ancient, uplifting, utopian, holistic bent. Why do I see so much Klee around me, in bookstores (of a certain depth, that is) all around? In part, perhaps, because Klee, even though drawing and painting more than eighty years ago, was really drawing and painting today’s world—or, rather, the way we are most inclined to think about today’s world. In zigs and zags and tatters and disarray, skeletally and scrawnily, jumpily and jerkily: klein. 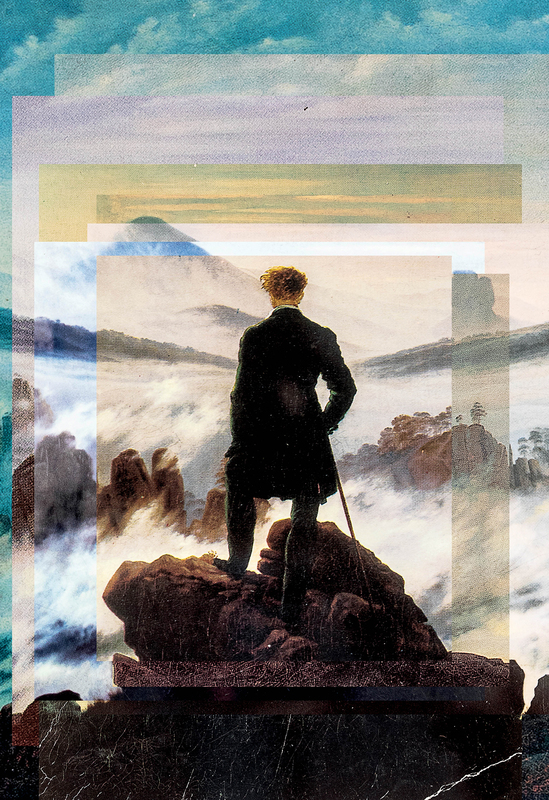 Klee’s polar opposite, so to speak, the painter of wholeness, transcendence, and the large-scale, long-term reasoning of Olympian viewpoints, is Caspar David Friedrich, whose equally iconic Wanderer above the Sea of Fog from 1818 is a predictably popular choice for books expounding on the legacies of his philosophical contemporaries Fichte, Hegel, and Schelling, the prophets of the long-lost utopia of the all-knowing I. Friedrich’s Wanderer, painted almost exactly one hundred years before Klee’s Angelus, and an anti-Angelus of sorts, has come to symbolize Romanticism pure and simple. 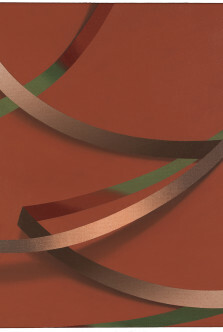 It is one of Western art’s most easily recognizable and widely disseminated images, endlessly recycled or subjected to parody and persiflage, satire and homage—in itself a function of the image’s singular power, of course, but also symptomatic of our era’s uneasy relationship to images of splendid isolation and heroic self-sufficiency. 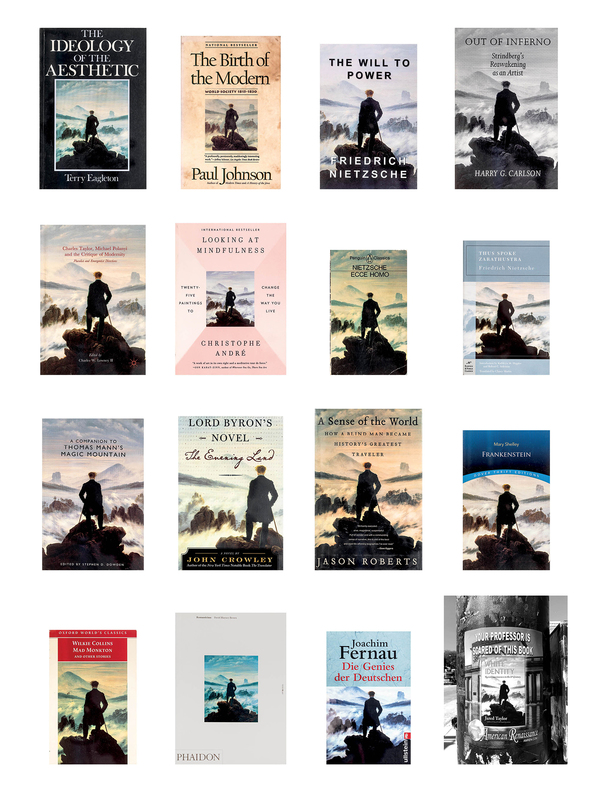 My personal collection of Wanderer-enhanced books (English titles only, I should add, and nothing directly Friedrich-related) currently contains sixteen volumes. Lots of philosophy, some history, some literary theory, some novels, the odd new-age plea for heightened consciousness, and a wide range of political sentiments, from Terry Eagleton on the left to Paul Johnson on the right. There are limits to my tolerance for the uses of this exemplarily generous and accommodating image, however. While collecting evidence for the Friedrich chapter of Kleine Welt, I declined to buy a book titled White Identity: Racial Consciousness in the 21st Century by white supremacist Jared Taylor, one of the intellectual storm troopers of the alt-right. Having seen this particular publication appear on posters on campus at the University of Chicago last summer (accompanied by the tagline “your professor is scared of this book”), I can no longer unsee the Wanderer casting this unsavory shadow, prophesied on one Nietzsche cover too many. It may be time to move on to other, slightly lesser-known or even virgin Friedrichs. How about The Abbey in the Oakwood, for starters and one? Groß! I will pass over the uses of Magritte’s imagery for now (Foucault, Heidegger, psychoanalysis) and move on, in concluding, to Giorgio de Chirico’s alienism. De Chirico’s presence in my library, I must admit, requires some substantive deepening still, as it is currently primarily limited, interestingly enough, to the work of a single author-editor, namely Richard Wolin: The Philosopher’s Conquest from 1913 (now in the Art Institute of Chicago) graces the cover of The Heidegger Controversy: A Critical Reader (published in 1992); The Song of Love from 1914 (now in the Museum of Modern Art in New York) adorns the cover of The Seduction of Unreason: The Intellectual Romance with Fascism from Nietzsche to Postmodernism (published in 2006); and The Great Metaphysician from 1917 (also in the Museum of Modern Art in New York) gilds The Politics of Being: The Political Thought of Martin Heidegger (published in 2016). De Chirico’s classic images of early modern anomie, in short, seem to denote “reactionary modernism”—a de Chirico painting should really have bedecked Jeffrey Herf’s landmark 1984 study of the same name—and anti-Enlightenment thought. Or, alternately, the smoldering madness that underlies thought’s revolt against its own principles, or the people’s desire for their own oppression. 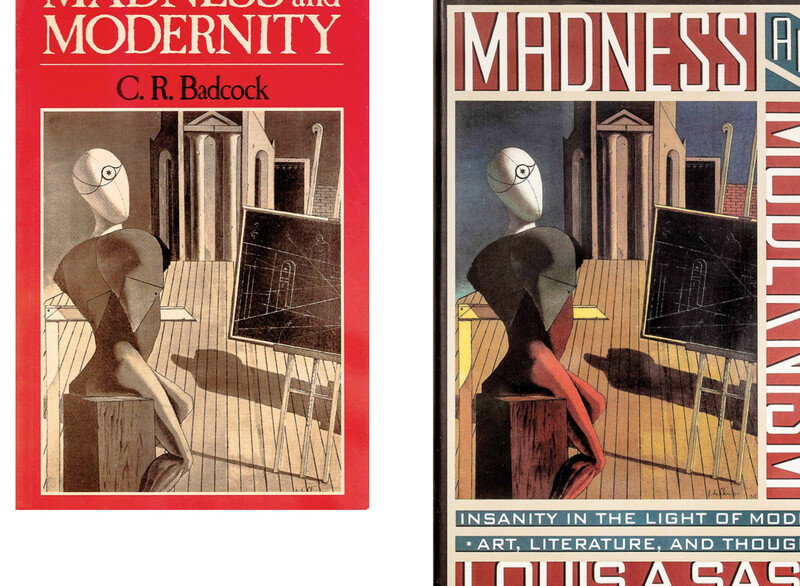 For de Chirico also equals “psychopathology” in the minds of many a book cover designer, and the most potent proof of this equivalence can surely be found in the publication, a mere nine years apart, of two quasi-interchangeably titled books with the same de Chirico painting on their covers, namely The Seer from 1915 (also in the Museum of Modern Art in New York) atop C. R. Badcock’s Madness and Modernity (published in 1983) and Louis A. Sass’s Madness and Modernism (published in 1992). Luckily, modernity does indeed predate and precede modernism. But honestly, don’t people in the book-designing business talk to each other? (I eagerly await seeing The Seer on a book titled Madness and Modernization). 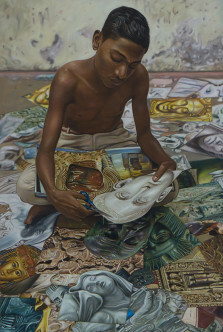 A small world indeed, lying prostrate at the feet of a handful of images, the altar of art—as it should: precede. Dieter Roelstraete is curator of the Neubauer Collegium gallery at the University of Chicago, where he also teaches. He previously worked as a curator for documenta 14 in Kassel and Athens in 2017. From 2012 until 2015 he served as the Manilow Senior Curator at the Museum of Contemporary Art Chicago, where he organized The Way of the Shovel: Art as Archaeology (2013), The Freedom Principle: Experiments in Art and Music 1965 to Now (2015), and Kerry James Marshall: Mastry (2016). From 2003 to 2011 Roelstraete worked at the Museum van Hedendaagse Kunst Antwerpen, where he curated exhibitions featuring Chantal Akerman, Liam Gillick, and Lawrence Weiner, and survey shows of contemporary art from Rio de Janeiro and Vancouver, among other projects. 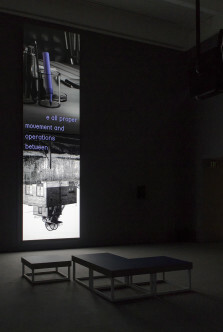 Recent curatorial projects include exhibitions at the Fondazione Prada in Milan and Venice; the Museum of Modern Art in Warsaw; the Garage Museum for Contemporary Art in Moscow; and the Neubauer Collegium for Culture and Society at the University of Chicago (Kleine Welt, winter 2019), in the context of which this text was written. Essentially an exhibition of book covers, the project also featured works by Zachary Cahill, R. H. Quaytman, and David Schutter. 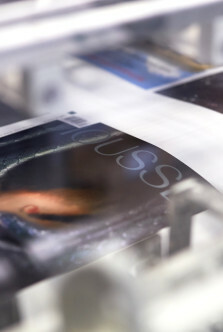 An accompanying book was published featuring contributions by Susan Bielstein, Jonathan Lear, and Dennis J. Schmidt, as well as photographs by Assaf Evron, a selection of which are reprinted here.